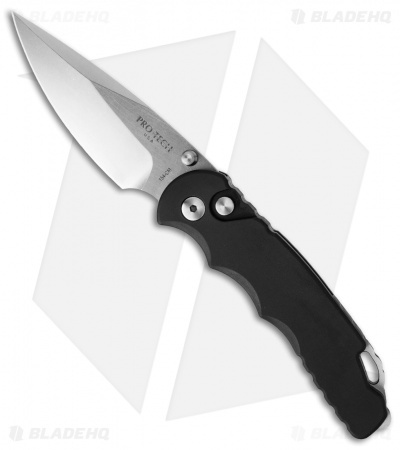 Protech has added a spring assisted model to their Tactical Response lineup, the TR-5. Similar in design to the TR-4 auto, the TR-5 is smaller and more pocket-friendly. The assisted opening mechanism was developed by custom knifemaker and designer Matthew Lerch. 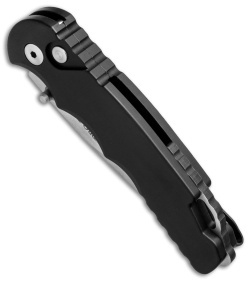 Unlike most spring assisted knives, the TR-5 offers almost instant Assist engagement that is powerful. Sufficient force is required to activate the mechanism, providing an added measure of safety. Best of all, the Protech TR-5 Assist is legal to carry in most places. This TR-5 model has a black anodized aluminum handle with a two-tone black back spacer/lanyard attachment, and a deep carry tip-up pocket clip. 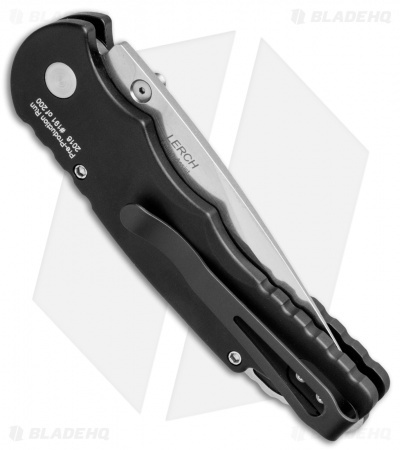 The blade is stonewashed and outfitted with a thumb stud opener. The plunge lock enables safe use and provides solid lockup. Protech's TR-5 is an impressive addition to their lineup and boasts their longstanding build-quality and performance. This is a limited Pre-Production Run of 200 numbered knives. I have a CA legal protech auto and really like it, so I naturally wanted to move up to a bigger blade. 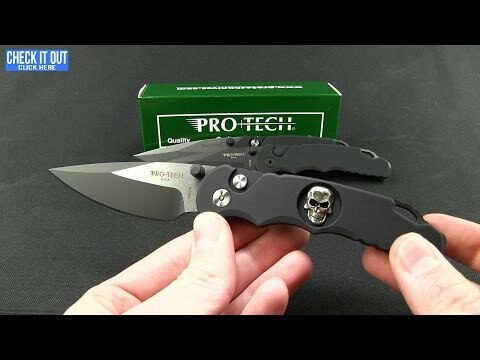 As with all protech knives the quality of materials and build are top notch. The one major issue I have with this knife is that deployment is awkward and uncomfortable. Maybe I will become more proficient in time but for now I'm going to give my sore thumb a rest.